Julie Mills is Group Director at the FD Centre. As wife of our founder, Julie has overseen the development of all office and secretarial functions within the business over the past 10 years. Julie’s earlier career started in secretarial and then legal secretarial work. 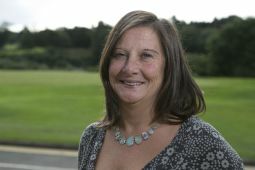 After bringing up four boys, Julie returned to the workplace and started up and ran a small and very successful property development business, before joining Colin at the FD Centre, with the vision “that someday all mid sized businesses would have a part time finance director”. Julie continues in the business today, keeping the office in good shape, and is famed for her gourmet lunches!